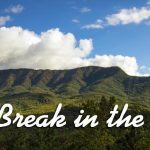 The first thing you need to know is that the Smokies area is very enormous and the distance between towns is very large, therefore, it might be wise to stay in a couple of places if your goal is to visit the 3 principle cities: Pigeon Forge, Sevierville and Gatlinburg. The magnificent Dollywood’s Dream More is located in Pigeon Forge. This is the most elegant and extensive hotel in the city. The resort offers great facilities and at a moderate price. The little ones would be extremely excited to find out that they are staying very close to Dollywood! Another cool option is the Wilderness at the Smokies resort located in Sevierville. This lovely hotel has 3 indoor water parks! Your children would drive crazy in this place. 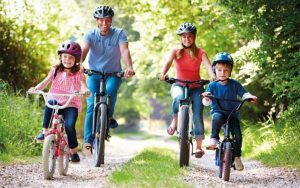 They offer so many activities to do in families such as rock walls, pin bowling, a gaming center and ropes course. Anyone in your party wouldn’t get bored, that’s for sure. Moreover, they have excellent choices for dining and the price is very affordable! 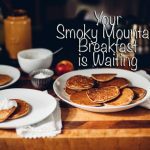 In the magical city of Gatlinburg, there is a cozy resort called Lodge at Buckberry Creek, which is located up in the foothills. The rooms are all equipped with full kitchen and living room, in addition to the laundry machines in the suite entrance. The resort has a small river pavilion where you can go hiking and have wonderful moments with your kids. The prices are also very friendly and worthy! You can’t come back home without a picture of your family at the Great Smoky Mountains National Park, family trip requires a family photo. This is a must-go place in your itinerary. You don’t have to purchase a ticket to explore all the wonders, so there’s no excuse to miss out this journey! 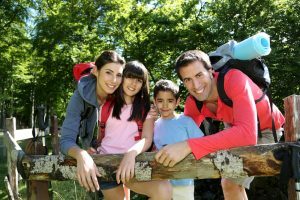 There are many types of hiking activities that suit all kind of people, depending on their age and the complexity of the path. If you are traveling with kids you definitely have to check out Clingman’s Dome. The road is paved and the views are breathtaking. 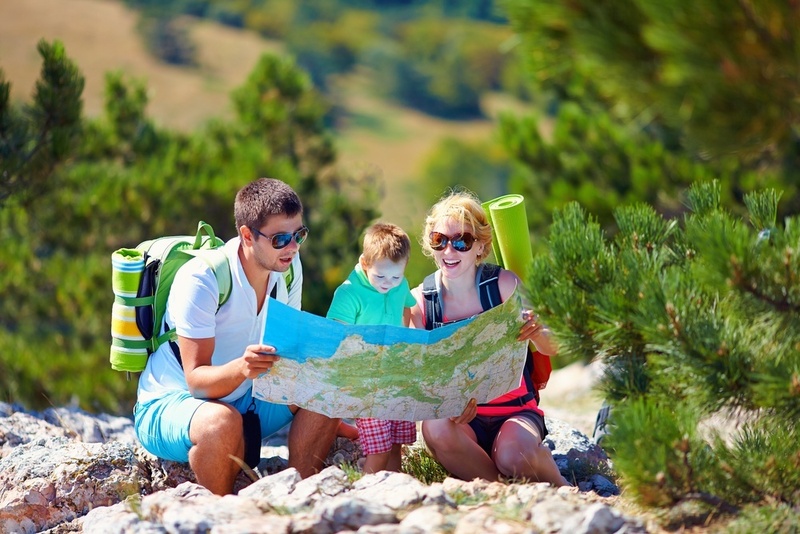 Please take precautions and use neither strollers nor wheelchairs while hiking. There are many slopes on the way, so it could be very dangerous to lose the grip! Be safe and spend a wonderful day with your family appreciating the gifts from nature. Additionally, Dollywood is another place you have to visit with your kids. This cheerful themed park honors its Smoky Mountain roots. If you have plenty of time, then try to go to Dollywood’s Country Splash waterpark, which is very close from each other. We assure you a memorable family trip experience! Pigeon Forge as one of the main cities in the Smokies offers a variety of attractions and shows for the entire family such the Dolly Parton’s Dixie Stampede and the Titanic Museum. Likewise, in the enchanting city of Gatlinburg, there’s plenty of action as well. Go to Downtown and visit as many incredible restaurants and peculiar shops as you can. The closest major airports are Atlanta and Charlotte, but it would take you too much time driving from both airports to get to your final destination. On the contrary, Knoxville’s McGhee Tyson Airport (TYS) is the most convenient airport due to its easy logistics and a short distance to any town at the Smokies. Keep in mind that this airport is served by Allegiant, America, Delta, Frontier, and United. The Smokies is full of visitors, as a result, there’s frequent traffic during the entire day. What you should always do is to go out from your hotel with plenty time in advance to transport yourself from one place to another. Most of the schools in the South begin their academic year early August. This fact makes August the best moment to travel since in that way you wouldn’t find the cities full of visitors. Many families would have come back home already by that moment. 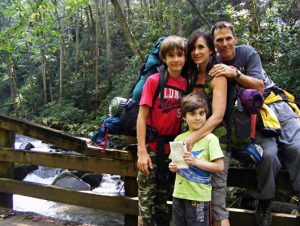 Exploring the Smokies along your kids is a dream trip for plenty of people. If you have the opportunity to arrange a travel there, don’t ever hesitate about the destination, you are making a great choice. You won’t regret it! A family trip is the best.